Compilation of demos, studio cuts and live tracks compiled by Mark Burchett, with liner notes written by Australian Rock historian Ian McFarlane. 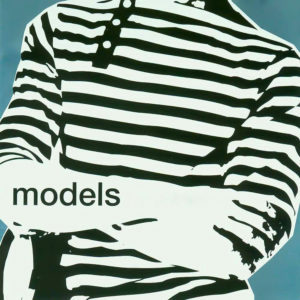 Mark diligently compiled the 16 tracks from Models pre-Mushroom Records deal, with assistance from Melbourne public radio station 3RRRFM. This wonderful release which features three tracks released as independent releases (Early Morning Brain, Progressive Office Pools, Owe You Nothing) and unreleased material of their early period, 1978-82. The CD opens with Baby Shop, a tough punchy rock ‘n’ roll number with hit single written all over it with the Models’ trademark synthesiser sound (courtesy of Ash Wednesday), followed by live favourite, the rhythmic Current Affair. Kelly introduces the lovely pop song Party Girl as “a little quiet one for you”; Atlantic Romantic is a new wave pop hit followed by the rocky The Other People Incident. Then there’s the punk howls of Kelly in Golden Arches, the synth sounds of Duffield come up a treat in John From Earth while the album closes with a dynamic sounding Elephant Man Elephant Woman. This is not an album of outtakes and leftover demos – itıs an album of outstanding songs, restored before they signed with Mushroom. It’s definitely a lost album restored and remastered. Go and buy a slice of your youth!